The tech-savvy generations of the present day are blessed with very many facilities on their finger tips. A mobile phone with all the latest technologies in it does easily replace a computer system and serves all those purposes which a computer system used to in the olden days. A Smart Phone would bring us a hefty bill at the end of a month but Whats app has many advantages for a cheaper price. Whats app is the latest boom which is one of the most popular messenger services available for mobile phones like Android, iPhone, Blackberry and Windows Phones. The prerequisite for having Whats app on your Windows PC is Bluestacks. One has to install Bluestacks first and then look for Whats app in Google Play and install it. Whats app is a cross platform application by which one can send and receive text messages without paying the usual SMS charges. The app can be used on Android, Blackberry, iPhone, Windows Phone and on a PC too. Whats app uses an internet data plan and with this service we can keep in touch with all for free. Whats app is not limited to texting, but one can also create groups and send multimedia files for free! Whats app can be very much made use of in mobile phones and tablets, but using it on a PC has its own advantages. The screen of a PC is bigger and one does not have to strain his or her eyes so much as it happens while using a mobile phone or a tablet. One can also enjoy the higher resolution while viewing videos and pictures on a PC. It will take some time to download Whats app on a PC, but once it is done everyone would forget the pains of downloading it. At the outset one has to have Bluestacks which is safe and it will also protect a PC from viruses. One has to move for installing Whats app after downloading and installing Bluestacks. Let us look at the procedure of installing Whats app in detail. Open Bluestacks and search in the search box for Whats app. Click on the download button of Whats app and do follow the steps for downloading Whats app on a PC. There is a version of Whats app for those who do not want to use an emulator. This version is meant for windows and it is supported by Whats app. Downloading and installing Whats app on a PC is a very simple procedure by which we are upgraded to a host of other amenities. Having a glance at some of those would be a good idea at this juncture. Whats app users are entitled to unlimited messaging to other Whats app users. They can also share multimedia files. Each Whats app user is permitted to send 100 messages in a span of 24 hours to other messaging apps. Whats app makes you share files and texts quickly and you would feel as though you are using a social media site. There is a provision to customize one’s profile in Whats app no matter if the app is used for a personal purpose or for business purposes. A Whats app user can keep his personal profile and contacts separate from business contacts because of the features of Whats app. One can save money by using Whats app because a huge range of texting is permitted here for free. Whats app is an easy set up and it is easy to use as well. 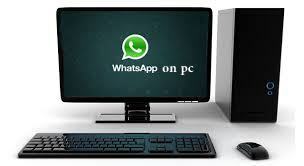 Battery life and the overall life span of a mobile phone can be extended by using Whats app on a PC. Whats app user can keep contact with his or her Whats app contacts since it is a cross platform application. Author Bio: This article is contributed by Harvey. From last some years he is concentrating on writing helps for students with custom essays writing. Nice , It’s interesting to run whatsapp on a pc. At present, I am using it on my smartphone but I’ll surely try this on PC too.Thanks for sharing! Can we used some more android applications on a pc with the help of Bluestacks? Bluestacks is an android emulator. It doesn’t just allow you to install Whats app, it actually converts your PC into an android device. I’ve been using it for last couple of weeks and it works fantastically.